We differ from other tour companies by providing driver-guide services, driver and guide as one person, which is the most economical way to discover new places. The difference is that our experienced driver-guides speak English very well and are holders of both the guide and driver´s licence. Along the way, they can stop at places of your interest – be it UNESCO sites, medieval castles, crystal factories, breweries, etc. – and tell you more about the Czech Republic as you travel to / from Prague. 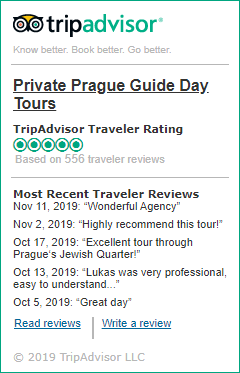 Waiting fee: if you want to do some sightseeing along the way we will charge a small fee for the waiting time: 1-3 people: 250 CZK/hour, 4-8 people: 300 CZK/hour.